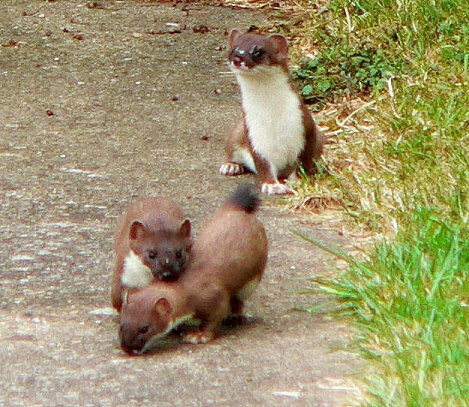 The stoat, Mustela erminea is also known as the short-tailed weasel and the ermine. that is in Europe, Asia, Canada and the United States. 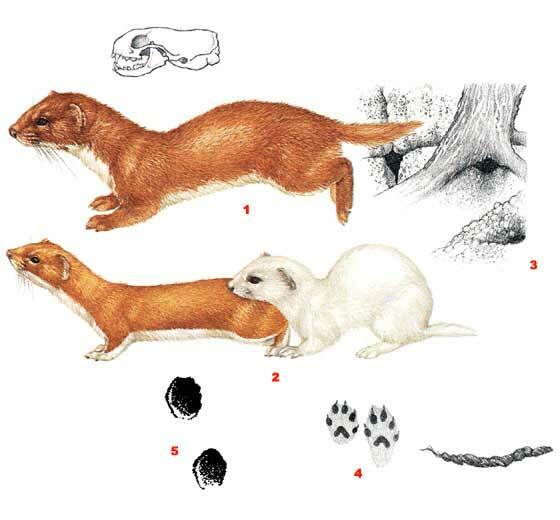 other small mammals; birds and their eggs and young; and sometimes fish, reptiles, amphibians, and invertebrates. It is a very skillful tree climber and can descend a trunk headfirst, like a squirrel. 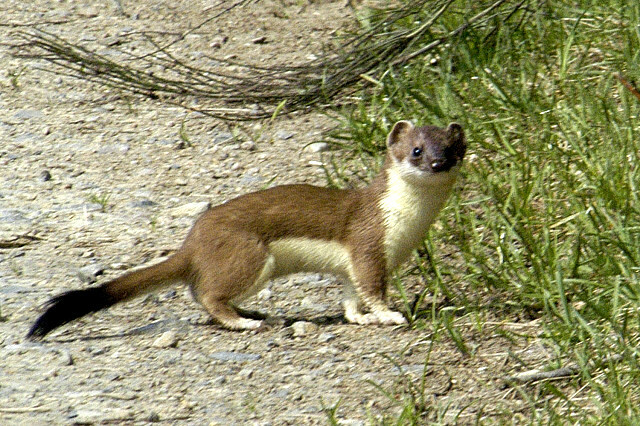 The stoat is capable of killing animals much larger than itself. When it is able to obtain more meat than it can eat it will engage in "surplus killing" and often stores the extra food for later.